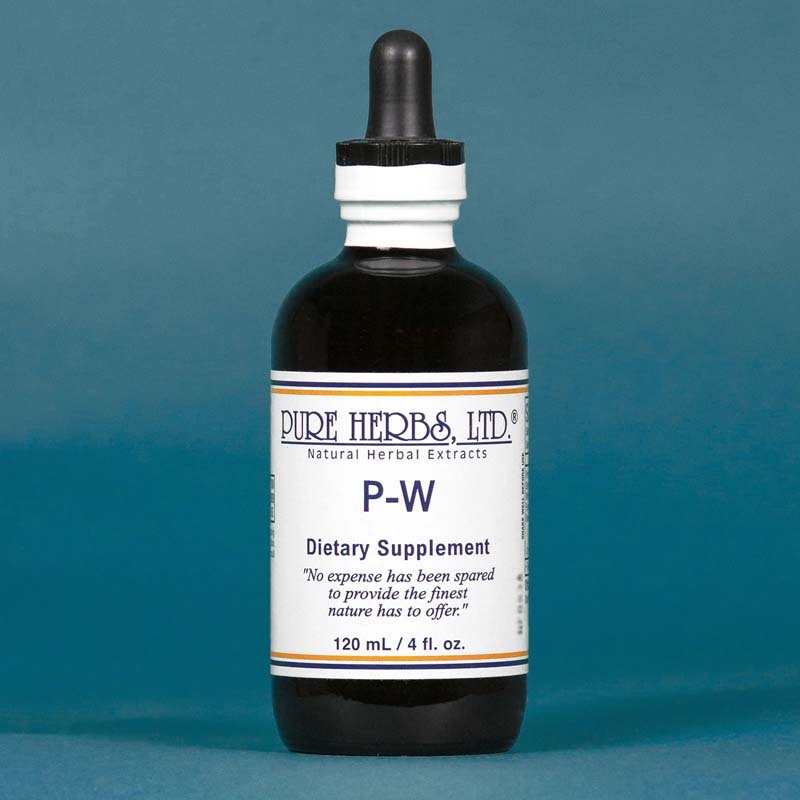 P-W(Prostate) - Combination for men. Reduce swelling and inflammation, soften and restore prostate to good working order. Resume normal urinary flow without trouble starting. Nourishes male reproductive system to promote normal sexual activity. P-W may also be used as part of a Sitz-Bad (Ger. sit-bath) regimen. Use P-W in conjunction with a bowel management program to keep the area free of accumulated wastes which must be emptied frequently to avoid aggravation of the healing process. (SEE: Cascara Sagrada, C.C.E.-W, Buckthorn, Senna) COMBINATION:Buchu, Marshmallow, Pumpkin Seed, White Pond Lily, Wild Rose Hips. DOSE:40 to 80 drops after meals, or 3 times per day. For more serious cases make use of a Sitz-Bad (Sit-Bath) regimen. Use 1 Tbl. of P-W per Sitz-Bad. (Optional: also add 40 drops of Oil of Cajeput to the sit-bath).